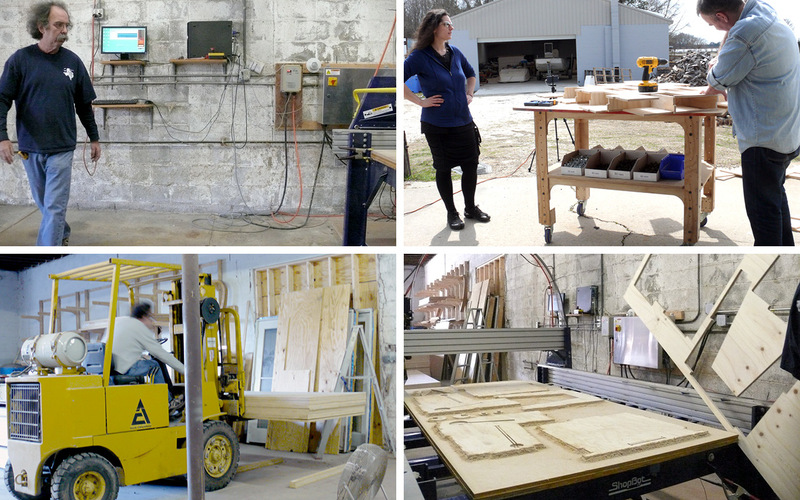 We took a break from writing Make: Design for CNC and headed to Bill Young’s shop on Virginia’s Eastern Shore fabricate and build the projects featured in the book. We were joined by our editor Anna Kaziunius-France to work with Bill on the prototypes, and to work on communicating digital technique, key fabrication details, and the proper order of assembly for each piece. 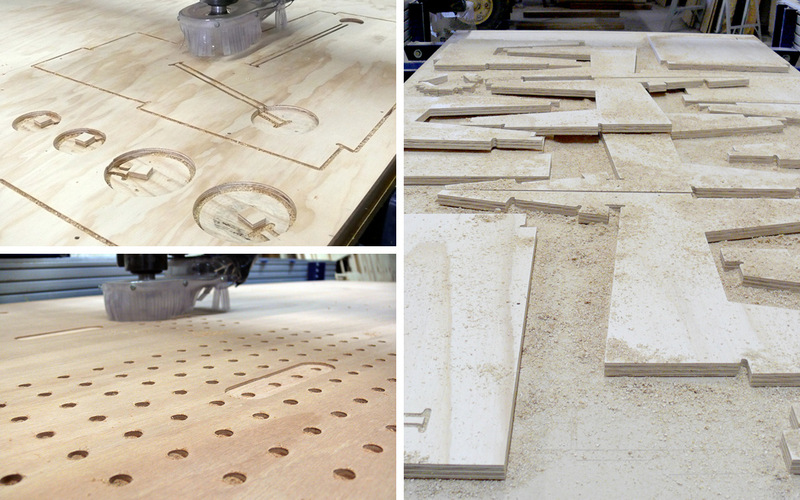 We are tremendously excited to share Make: Design for CNC in 2016 with makers, designers, and everyone interested in the powerful combination of design and digital fabrication. 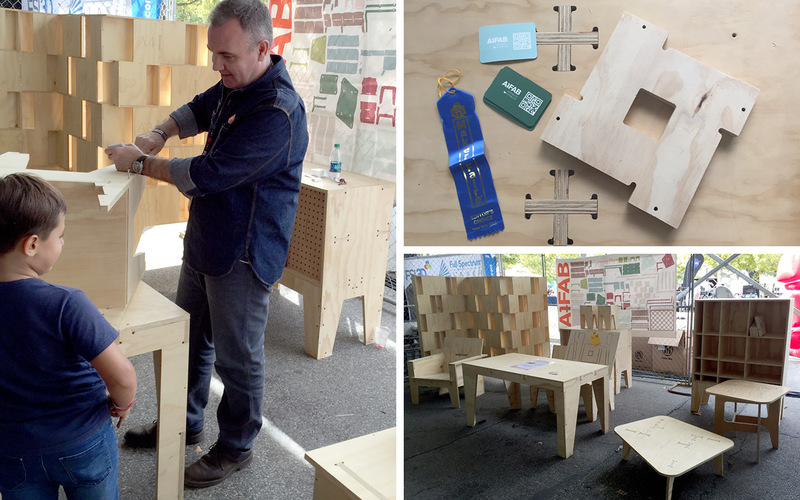 EDIT: Had a great time at the World Maker Faire in New York in September 26-27, 2015. Awesome to meet old and new friends, and find so much inspiration from fellow makers. 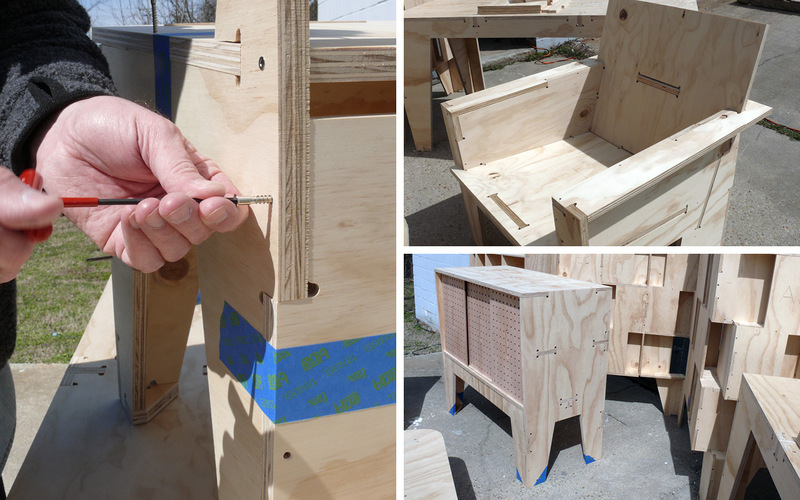 We shared the prototypes and for the first time, gave a sneak preview of Make: Design for CNC. We are grateful to the Maker Media Lab in San Francisco for adopting the prototypes.